There are loads of things to do in Whitby with a toddler whatever the great British weather decides to throw at you. 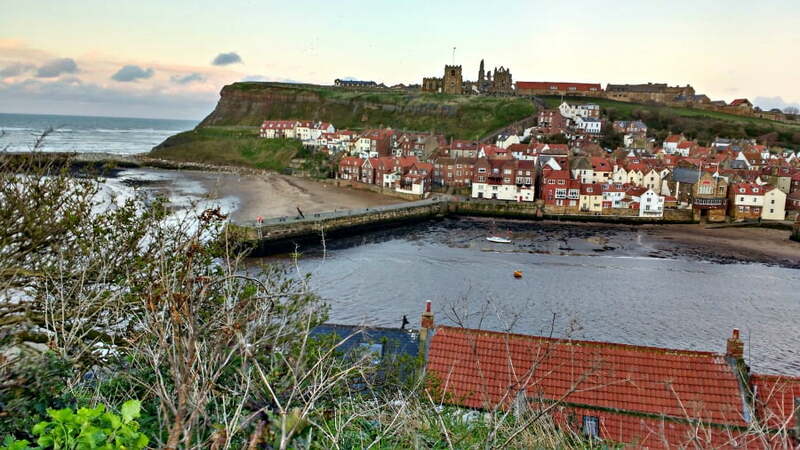 As well as the beaches, parks and museums, Whitby is in a great location to explore the whole of the North Yorkshire coast and beyond. 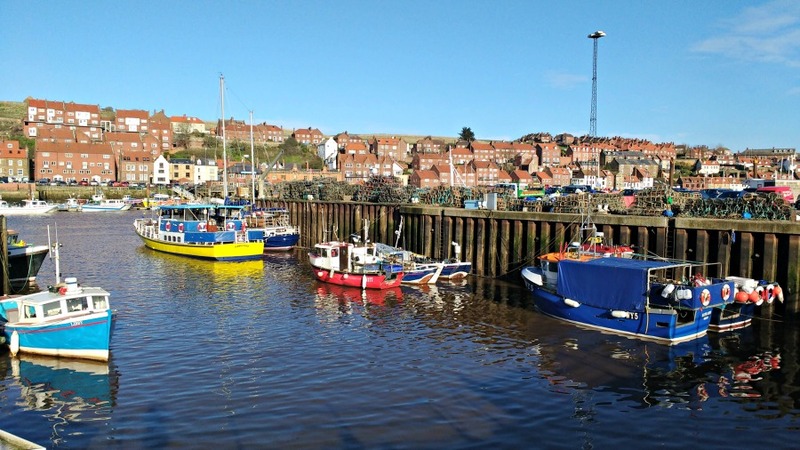 We spent a weekend in Whitby earlier this year staying at the YHA, and these are my tips on the best things to do in Whitby with toddlers. 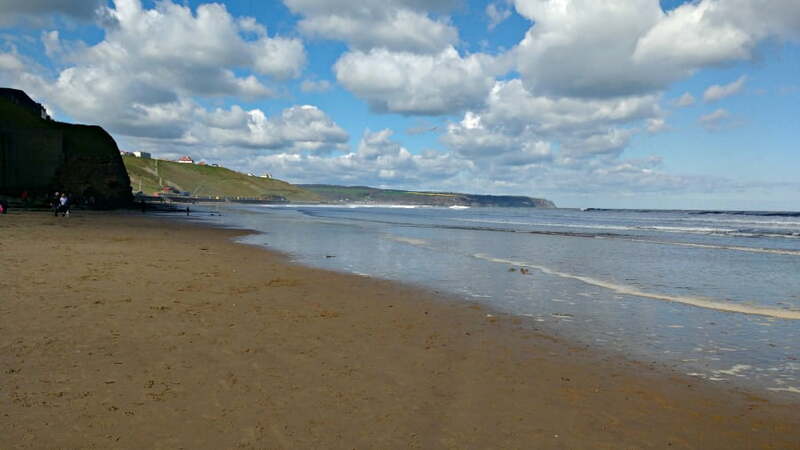 The sun always shines in Whitby – well, maybe not ALL the time, but when it does the best place to be is the beach. West Cliff Beach has almost 2 miles of sand and is framed by colourful beach huts against the backdrop of the cliffs. There are donkey rides in the summer, and there is plenty of space for toddlers to make sandcastles, paddle in the sea and collect shells. On West Cliff there is an outdoor paddling pool where babies and toddlers can splash away to their heart’s content. There are great views of the sea from West Cliff too. Train mad toddlers will love a day out on the North Yorkshire Moors Railway. 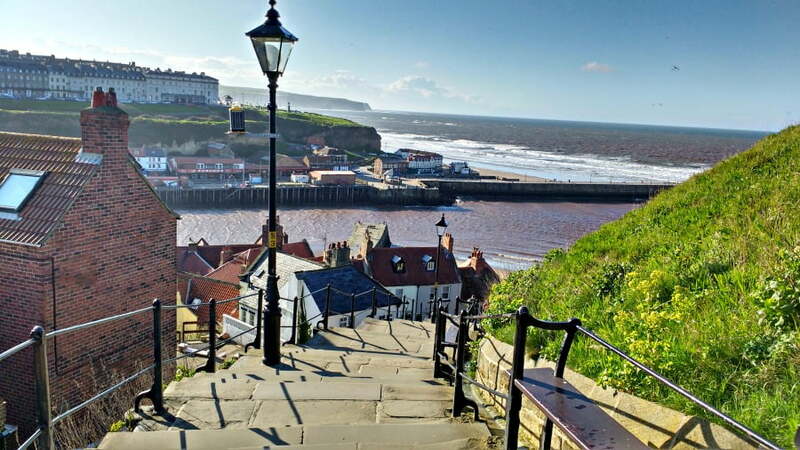 You can catch this historic steam train from Whitby for an unforgettable ride across the North Yorkshire Moors to the market town of Pickering. 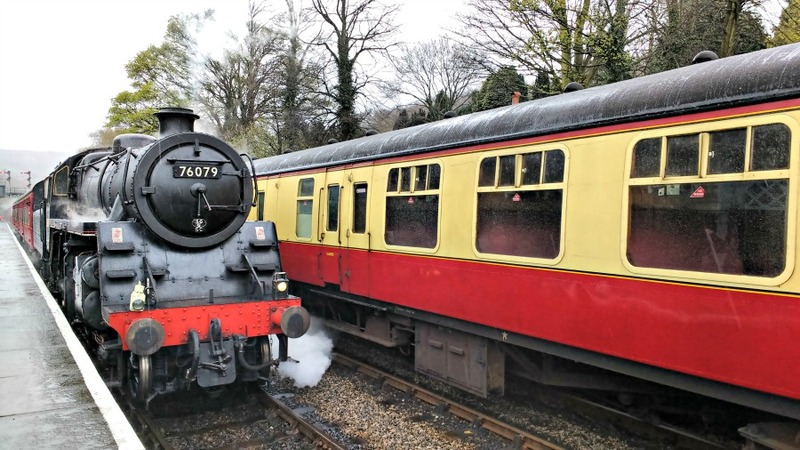 This journey takes about 2 hours, but if you don’t fancy doing the whole journey, you can stop off at Grosmont, a little village in the heart of the North York Moors, for some food and a look round the NYMR engine sheds. If you go to Grosmont, don’t miss lunch at the Old School Coffee Shop just across the road from the train station. They serve really fresh food, including a fab children’s menu, in an old school building. 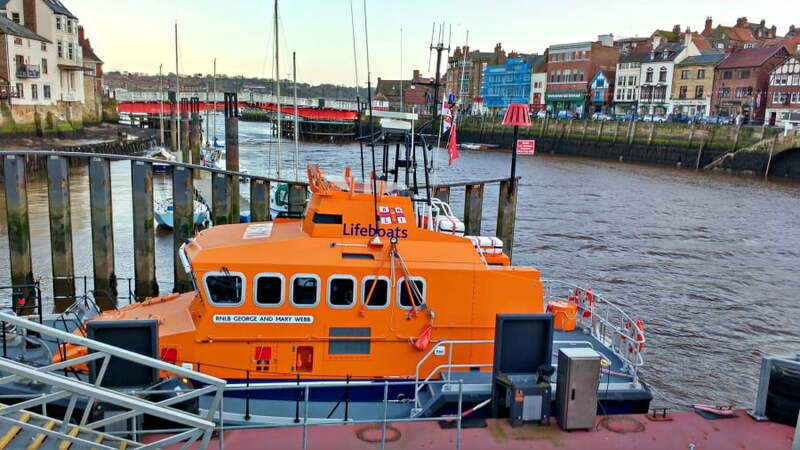 Whitby’s life boat is named after George and Mary Webb, and is moored up outside the Whitby Lifeboat station. This all-weather lifeboat is kept in the harbour so you can see it all the time. What toddler doesn’t love a boat trip? Pick your day (a boat trip isn’t much fun in the rain), and book a boat trip down the coast to the village of Sandsend or take a short harbour tour. Older children will love the speedboat tours. 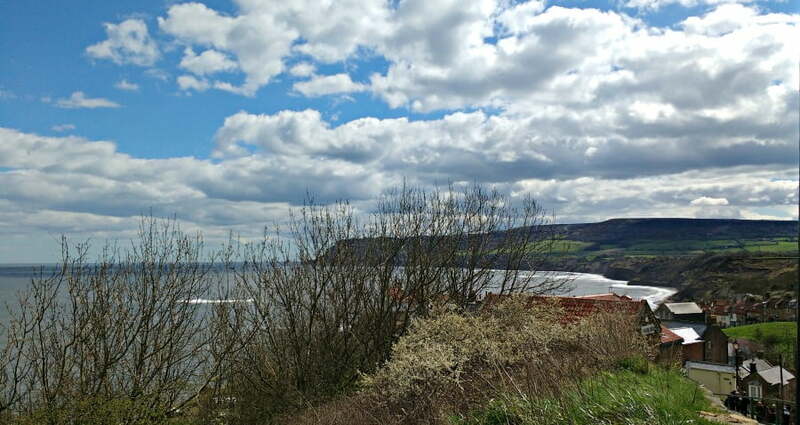 Robin Hood’s Bay is a fishing village 4 miles down the road from Whitby, and is a great place to visit with toddlers. When the tide is out, there are ample opportunities for rockpooliing and general playing on the beach, and the tiny narrow streets are well worth getting lost in. Parking is a bit of a nightmare in the village, so make use of the public pay and display car parks outside the village and walk down. 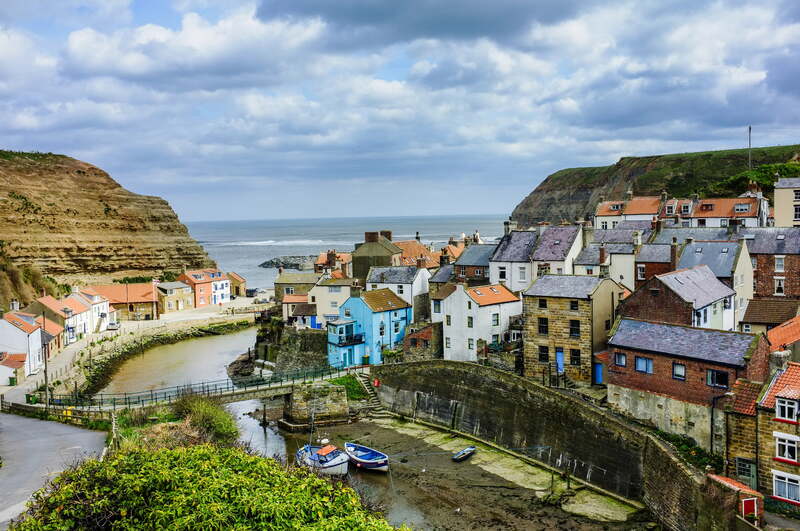 Another day trip out from Whitby is to Staithes which is famous for being the place where the Cbeebies programme ‘Old Jack’s Boat’ is filmed. Toddlers will love seeing the little boats in the harbour and playing on the small beach. You may even see Salty! Pannett Park in Whitby is well worth a visit with young children. 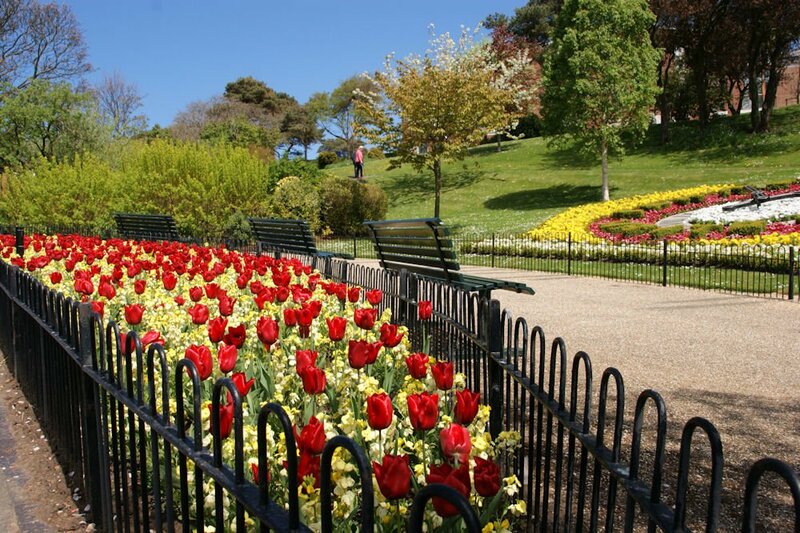 Recently redeveloped and named Best Public Park in Yorkshire in 2014, Pannett Park has a Jurassic garden, a state of the art playground and wooded areas for the whole family to enjoy. 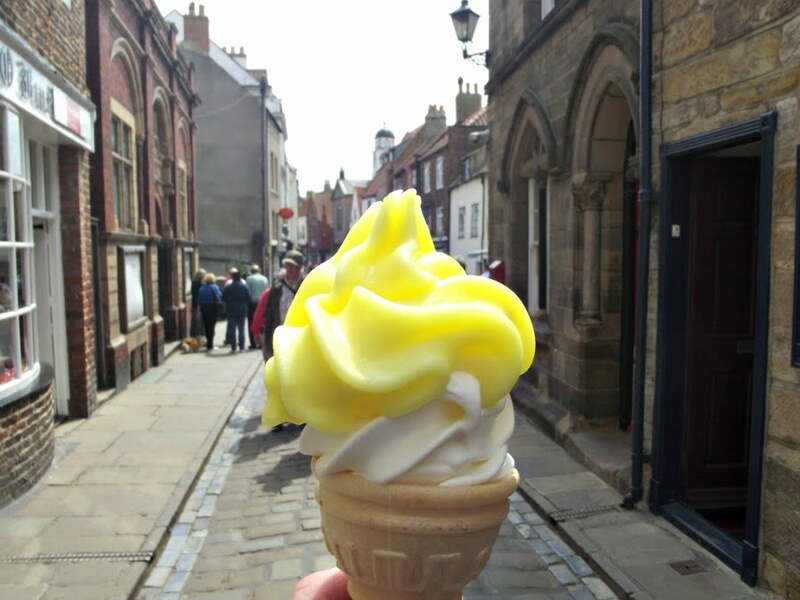 A Lemon Top ice cream is a cone with dairy ice cream topped with a swirl of lemon sorbet – it’s famous in Whitby and there are plenty of ice creams advertising Lemon Tops along the harbour front. A not to be missed experience when visiting Whitby! 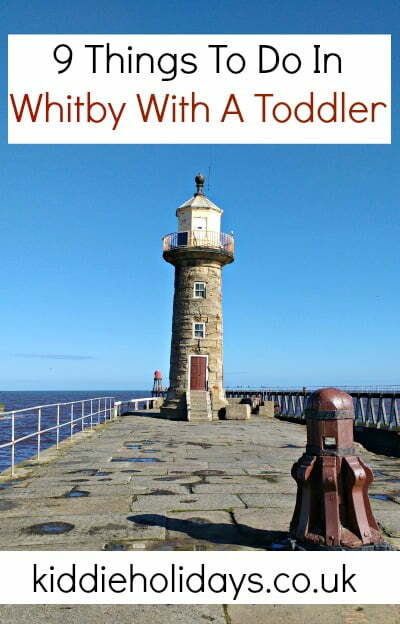 Do you have any recommendations on toddler friendly things to do in Whitby?